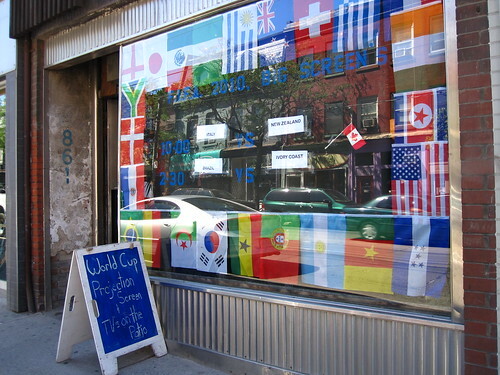 green tea: World Cup, cont. The World Cup rolls on and so do the celebrations. 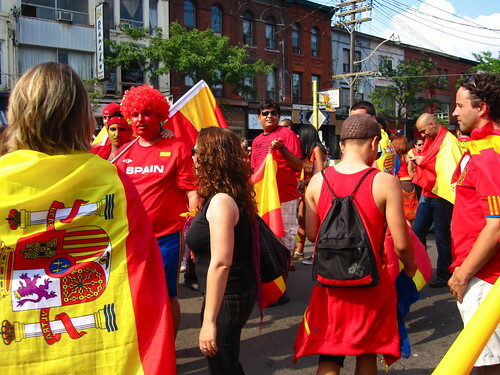 I thought the streets in this neighbourhood would be quiet now that Italy, Portugal and Brazil are all out, but fans of various other teams continue to make themselves known. Yes, I should have been updating these as they happened but unfortunately the heat wave has evaporated all my ambition for doing anything. I haven't had any preference for teams to cheer for since the quarter finals. At this point, I take Marge Simpson's philosophy for the race track: "Can't I bet that all the horses will have a fun time?" 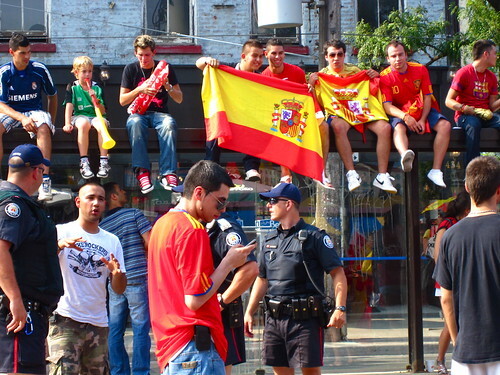 Anyway, here are some Spanish fans partying in front of the Plaza Flamingo on Wednesday after their semi-final win. And here are Brazil and Portugal fans way back on the day of that most glorious 0-0 draw. 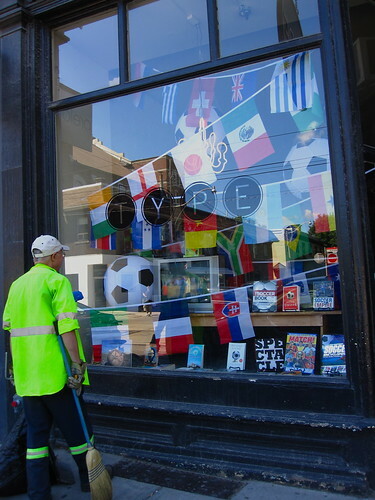 I appreciate when local businesses make an effort with World Cup themed window displays. 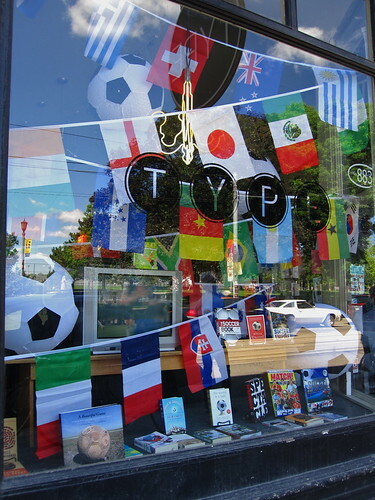 Here's Type Books on Queen Street. A TV in the window of a book store! And here's The Done Right Inn, a few doors down with a changeable schedule display. Nice touch: the guy walking past whistling "Wavin' Flag" as I took this photo. 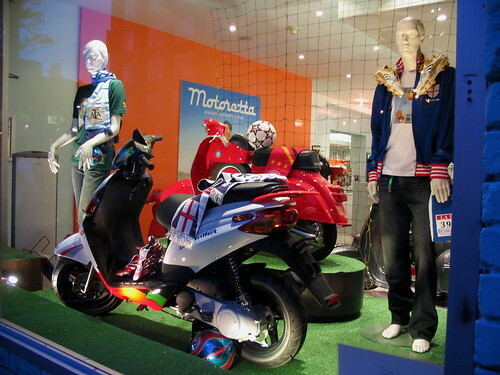 This one at Motoretta is actually from the previous World Cup, but what the heck. The photo is relevant.